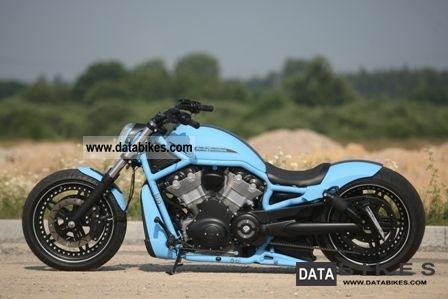 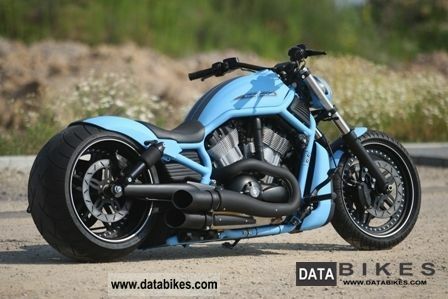 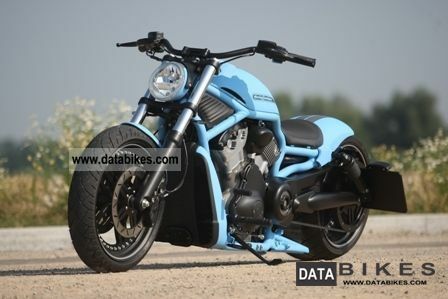 Absolutely gorgeous Night Rod conversion in light blue matte finish style. 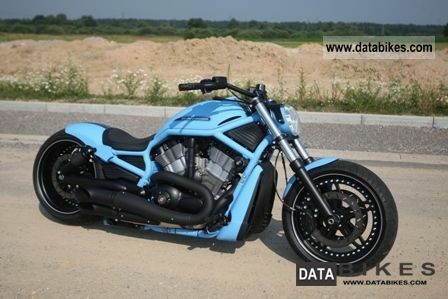 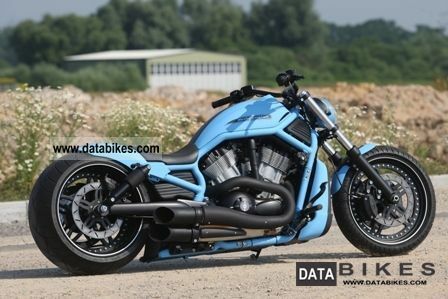 This shows the company tricks how to make a V-Rod A-Rod to a V in the drag-style remodels. 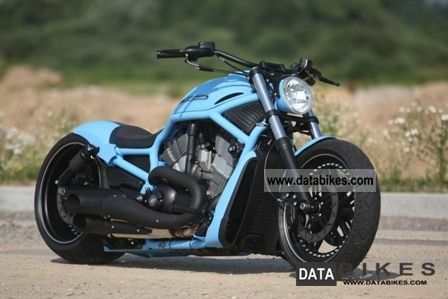 Absolutely SUCCESSFUL LINE and ausgeklgeltes suspension concept also make the 280 mobile tire ... just an original Rick Bike!